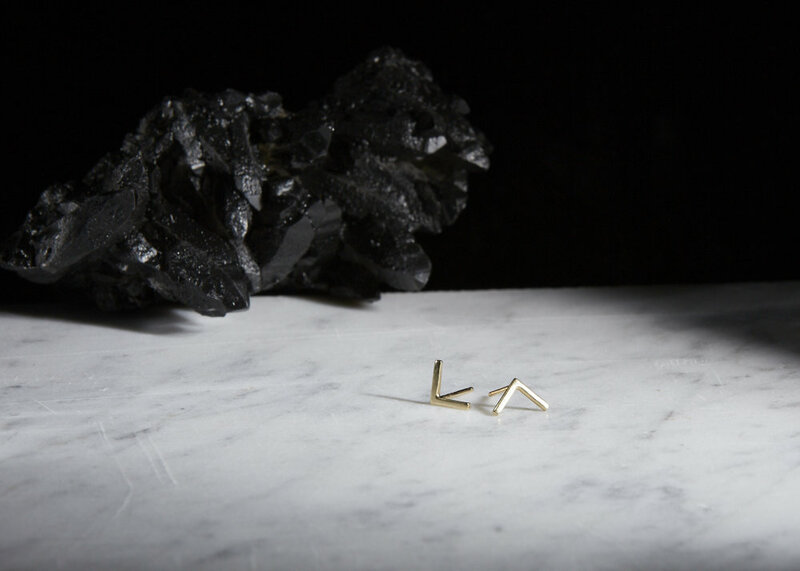 For her foray into fine metals, Sofia Ramsay built an alphabet of dainty geometric forms that interact with each other like a language. Semicircles arch and repeat to form scallops. Angles form brackets and triangles give direction. 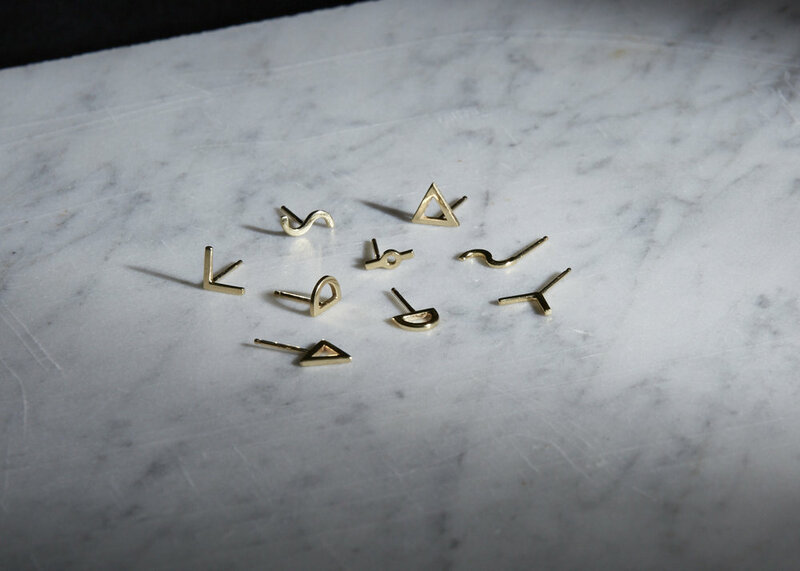 These shapes are stationed along lengths of chain, banded onto rings and pricked onto lobes as tiny studs. 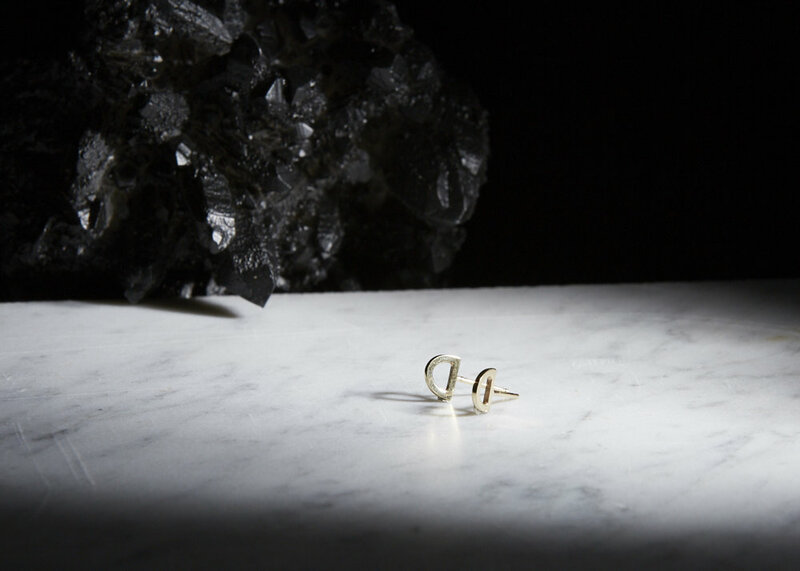 Perhaps the greatest signature of this collection is the 3D Earring, which props the shape on its side and pops up off the ear. 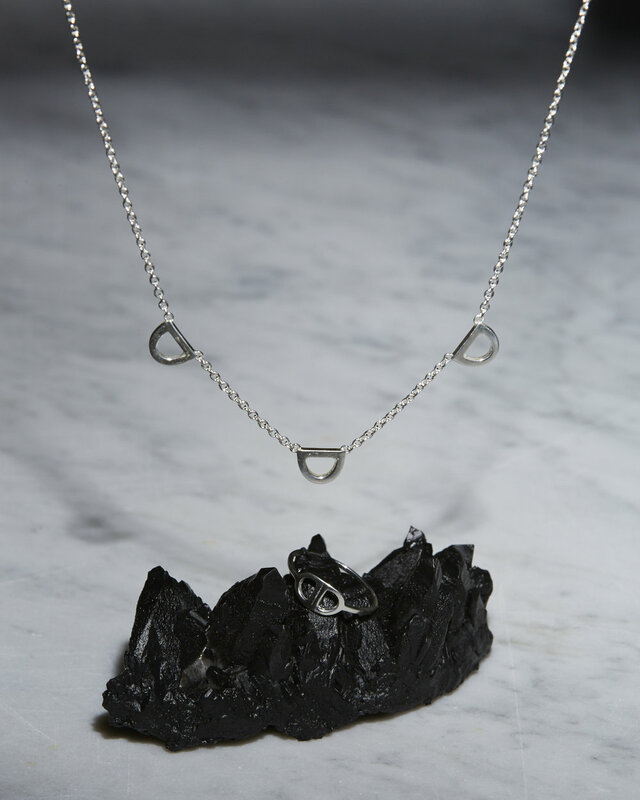 The Shapes Collection is available in sterling silver and 14k yellow gold, all of which has been responsibly sourced. 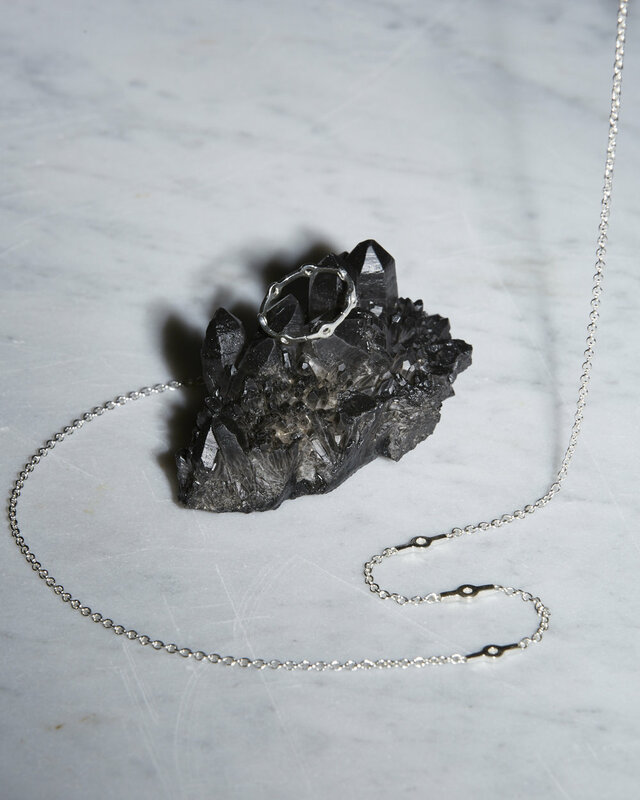 Production is done by the artist with the help of skilled local artisans in New York City.